Originated in Rhode Island, it is the state bird of Rhode Island and recognized as a distinct pure chicken breed in 1904 by the American Standard of Perfection. The Single Comb Rhode Island Red chicken is our most popular breed for brown egg laying production. They are a popular chicken choice for backyard chicken flocks because of their egg laying abilities and hardiness. Rhode Island Red chicks are a good choice for raising baby chickens naturally and raising baby chickens for eggs. Non-industrial strains of the Rhode Island Red are listed as recovering by the American Livestock Breeds Conservancy. Cackle Hatchery®’s blood line or stain is a heritage chicken production type and bred pure by Cackle Hatchery® Farms since 1936. The Rhode Island Red is a true heritage chicken breed picked as a great choice for egg production. Many breeders breed the Rhode Island Red chicken for show, these are a little darker red and do not produce as many eggs. The Roosters usually weigh in at 8.5 pounds (3.9 kg), The Hens weigh slightly less at 6.5 pounds (2.9 kg), cockerel at 7.5 pounds (3.4 kg), and pullets at 5.5 pounds (2.5 kg). Developed in Rhode Island and Massachusetts, early flocks often had both single and rose combed individuals because of the influence of Malay blood. Cackle Hatchery® only offers the single comb variety of the Rhode Island Red chicken breed (Production Type). 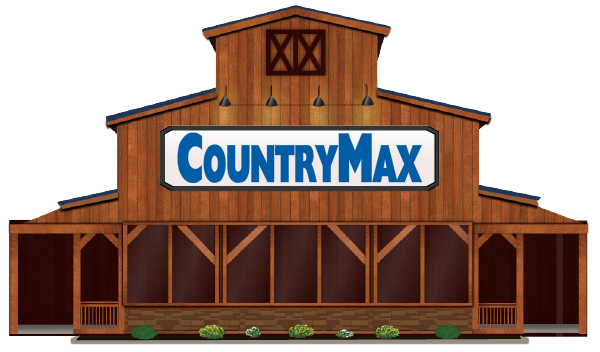 CountryMax is Western and Central New York's largest supplier of poultry to backyard enthusiasts. In addition to many varieties available for special order, we carry a variety of standard store-stocked breeds from March to April in our stores. It is recommended that you contact your local store directly if you are interested in purchasing standard breeds such as Rhode Island Red, Barred Rock, Buff Orpington, Golden Comet, or Black Laced Silver Wyandottes because they may have them on hand in store immediately. For all other special orders of poultry, the minimum order is 10 birds PER BREED. CountryMax is unable to order in quantities less than 10, and we cannot split orders. Orders will be shipped from the hatchery as available, so CountryMax does not make any promise or imply delivery dates whatsoever. Please note in the comment box your desired ship date and we will make every effort to accommodate but we are at the mercy of hatching dates from the hatchery.